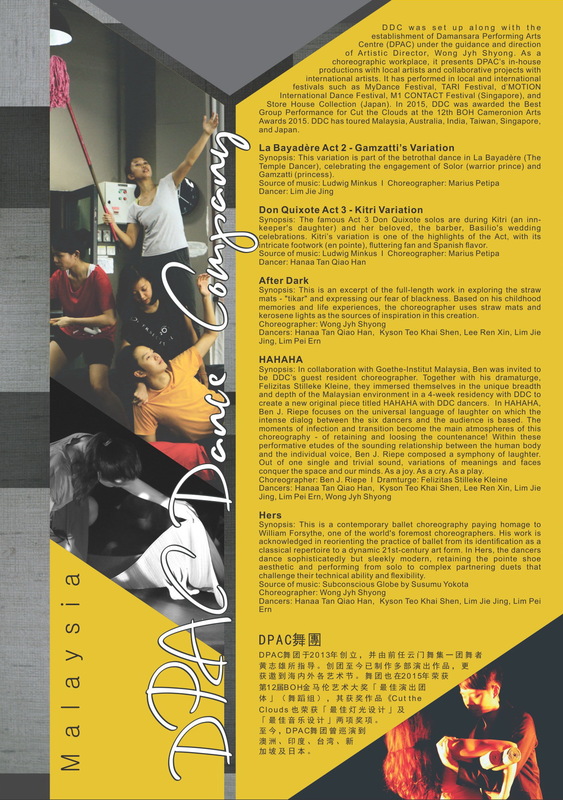 DDC was set up along with the establishment of Damansara Performing Arts Centre (DPAC) under the guidance and direction of Artistic Director, Wong Jyh Shyong. As a choreographic workplace, it presents DPAC’s in-house productions with local artists and collaborative projects with international artists. 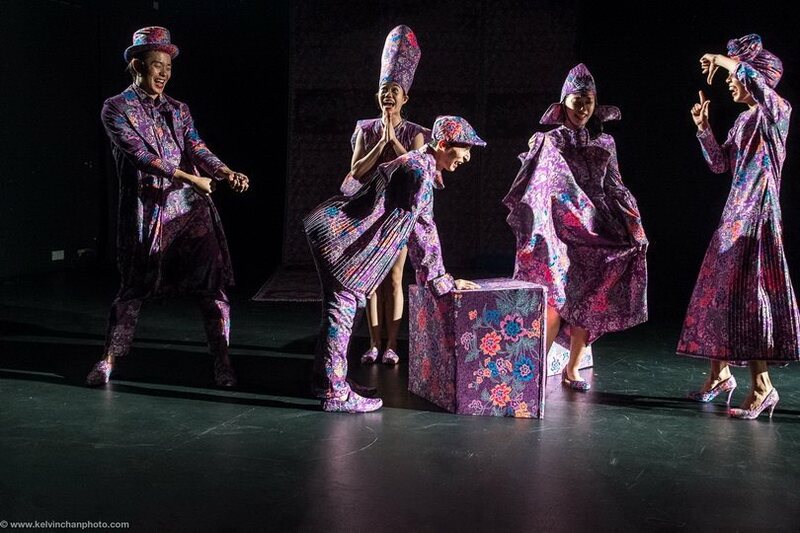 It has performed in local and international festivals such as MyDance Festival, TARI Festival, d’MOTION International Dance Festival, M1 CONTACT Festival (Singapore), and Store House Collection (Japan). In 2015, DDC was awarded the Best Group Performance for Cut the Clouds at the 12th BOH Cameronion Arts Awards 2015. DDC has toured Malaysia, Australia, India, Taiwan, Singapore, and Japan. 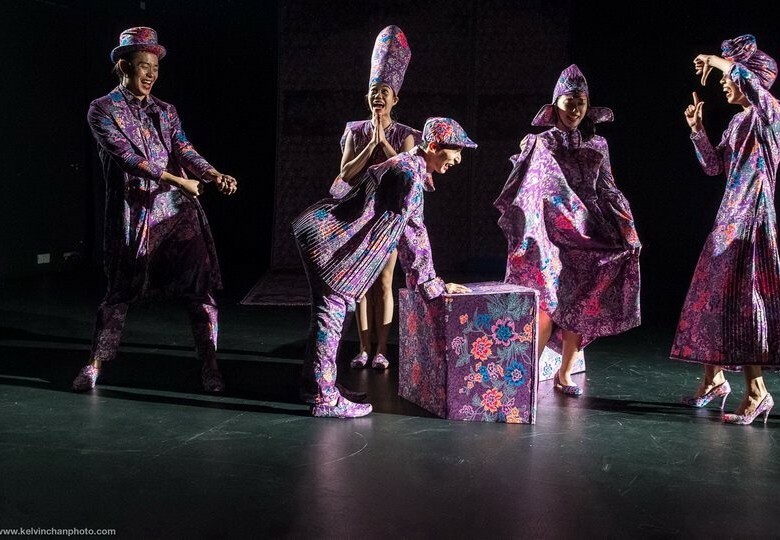 Apart from showing the dance works by the artistic director Wong Jyh Shyong, will also showcase the classical ballet and a collaboration work with Goethe-Institut Malaysia. Goethe-Institut Malaysia also support the dancers to present a dance work HAHAHA which was worked out together with German choreographer Ben J. Riepe and dramaturge Felizitas Stilleke Kleine in SIDF 2016. Photo provide by Dpac. HAHAHA credit to Kelvin Chan, After Dark credit to JS Wong.